We have food, medications and preventatives. Did you know we offer a military discount? 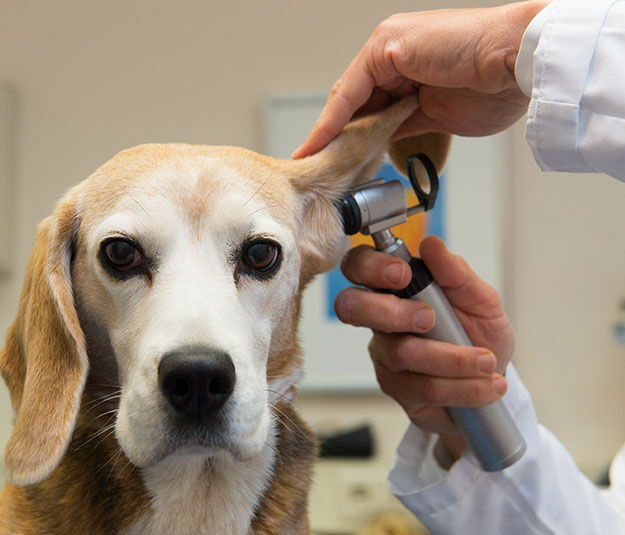 St. Francis Animal Hospital uses the latest in medical technology to explore existing problems, provide emergent care, and keep your pet healthy with top-of-the-line preventive medicine. Our philosophy of compassionate care enables us to leverage a high-tech approach to your pet's health. 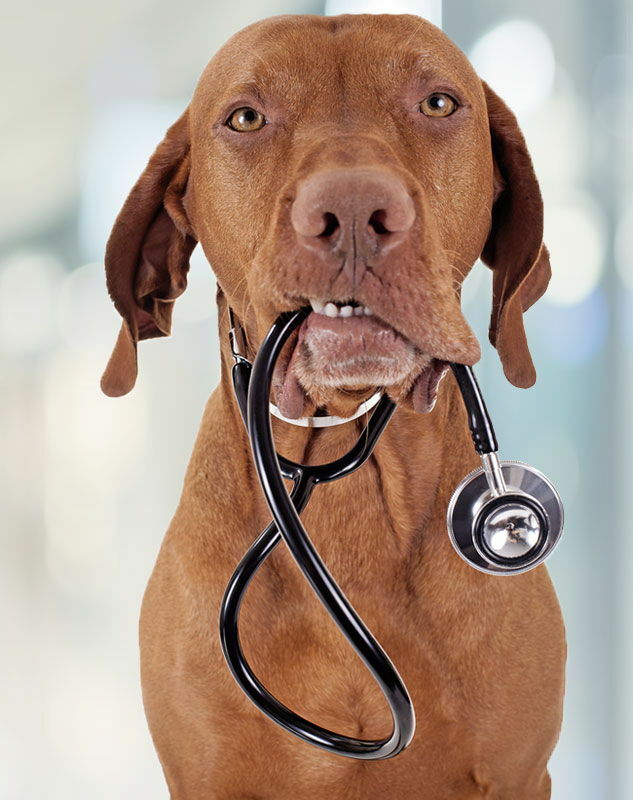 We can work together to develop a treatment plan for any type of health issue and create a preventive health plan to give your animal the longest and most fruitful life possible. 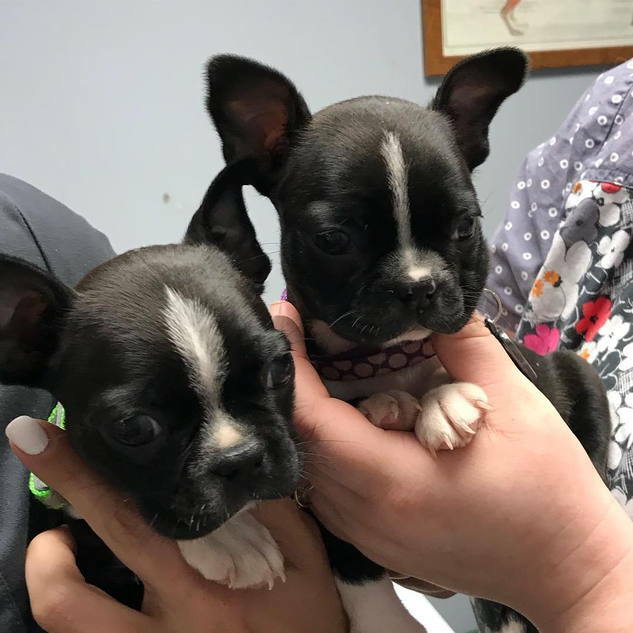 St. Francis Animal Hospital has always been dedicated to the continued development of cutting edge medicine and surgery by incorporating advancements in veterinary technology. 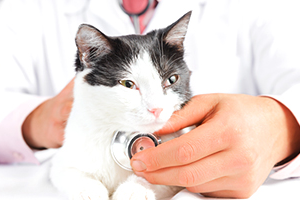 At St. Francis Animal Hospital, we treat your pets like the valued family members they are. We will be welcoming Dr. Coleman back to the St Francis Family We are thrilled to have her re-join Dr. Gonzalez and Dr. Childs. 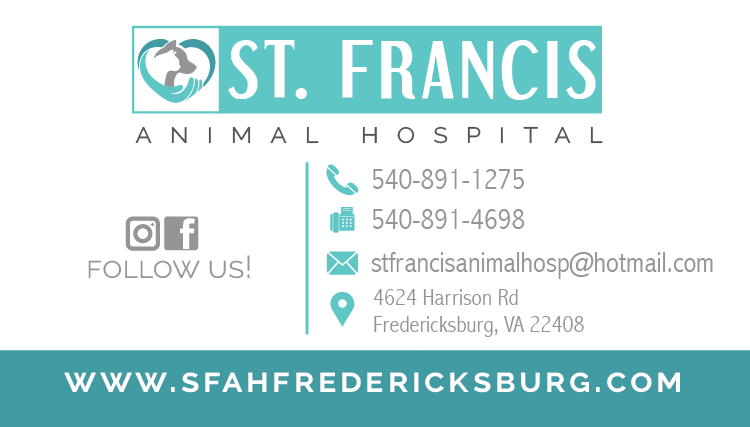 Dr. Madelyn Gonzalez joined the St. Francis animal hospital team in 2012, when she relocated to the Fredericksburg area from Puerto Rico. 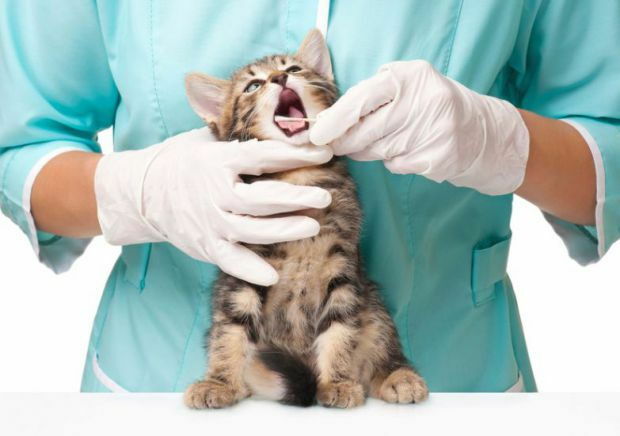 She is an experienced veterinary practitioner whose main interests are internal medicine and emergency situations. She is fluent in both Spanish and English and accepts appointments in both English and Spanish. When she isn't at the hospital, she enjoys making sugar cookies and spending time with her husband, children and their dog. Dr. Emily A. Coleman grew up in Baltimore, Maryland and acquired a Bachelor of Science at the University of Mary Washington. She then attended the Virginia Maryland Regional College of Veterinary Medicine at Virginia Tech. After graduation she moved to Tennessee where she worked first as a mixed animal veterinarian before working at an exclusively small animal practice. Dr. Coleman moved back to Virginia December of 2014. She currently lives at Lake Anna with her husband, Sidney and their seven cats, two dogs, two guinea pigs, and two rabbits. In her free time she enjoys live music, hiking, horseback riding, kayaking and fostering kittens. Her veterinary interests include feline medicine, geriatric care, and dentistry as well as shelter medicine. Keri Webb has been in the veterinary field for more than 21 years, she began her career in 1996 in Illinois as a veterinary assistant. She was at the same practice for 13 years and then moved to Virginia. She has been with the St Francis Team as a tech assistant/inventory manager since 2011. Keri is now the Practice Manager. Keri has been married for 22 years, she is the mother of 3 beautiful daughters, one four legged fur son Hunter a chocolate lab, Spike the leopard gecko and Mochi the dwarf hamster. Her time is filled with all things family outside of work. Christy's love of animals started at an early age while growing up on a large farm in Maryland. She now has a small farm of her own which is home to many 4 legged creatures. 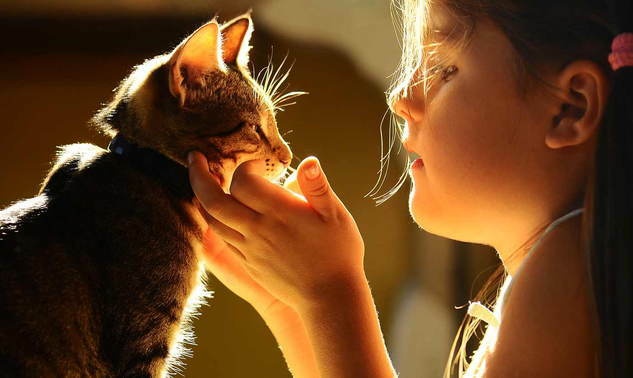 When not tending to her pets, she looks forward to helping our clients take care of the needs of their pets. Colleen has been in the veterinary field for almost 16 years. She has been married to her husband and best friend Mike since 2010. Together, they have a son, Avery and a daughter in Heaven, Emily. Colleen has a Cocker Spaniel, Tink, 2 cats, Miss Whiskerson and Soshi. She loves her family, her pets and God. In her spare time Colleen likes to crochet. Many of her co workers are proud owners of one of Colleen's beautiful handmade creations! Suzy has worked at St. Francis for 16 years and counting! Suzy lives on a farm with her husband Don, 3 German Shepherds, 3 goats, 5 pigs, 5 piglets and 2 orange cats. She also shares this farm with her beloved horse she has had since she was a yearling and is now 33. Suzy is a master at getting to know her clients by name and enjoys making everyone feel welcome. Vicky has been working for St Francis for over a year now and in the animal field for 4 years. She lives in Fredericksburg with her newlywed-husband Will, and her 4 adorable cats, SImba, Kovu, Nuka, and Vitani. Vicky had her first son this holiday season and we are thrilled for her. When she is not working Vicky enjoys sending time with family and being outdoors. Andi was born and raised in the island of Maui, Hawaii. She moved to Fredericksburg in 2014 she has one dog and two cats. Andi enjoys camping and hiking. In her spare time Andi also teaches NU line dance which has allowed her to travel across the country as well as Norway and Japan. Andi has begun her path to getting her LVT (Licensed Veterinary Technician) and we couldn't be more proud of her. Keishla was born and raised in Puerto Rico and moved to the United States in 2012. Keishla is bi-lingual. Keishla worked as a vet assistant in Florida for 3 years before relocating to Fredericksburg in 2017 with her husband Luis and her dogs Max and Ragnar . She is a student working on her LVT. She enjoys all things related to nature and animals especially living in the country with her animals. Keishla is very artistic, she can draw and paint amazingly, she even has some art on display in our exam rooms. We are glad to have her on our team. Kelsey has been in the veterinary field for over 10 years, she lives in Fredericksburg with her husband Andy and 3 mixed breed dogs, Ginny, Porter, and Stout as well as two rescued cats, Steve and Peggy. When she is not at work Kelsey is working hard on her LVT classes, hiking with her dogs or spending time with family and friends. Kelsey had her first son in October and we can't wait to watch her family grow. Katie is a full time college student studying sociology. Katie is even leaning towards law school to aide in the protection of animal rights. She was born and raised in Virginia. Katie has one sister and a nephew whom she loves to spoil. Katie loves pun jokes and always has one ready for any occasion. Katie has one dog, Poe and one cat named , Bennie. Both are rescued animals. Katie loves to hike and be outdoors. Katie is funny and a great team player. She is a perfect match for our crew. "Dr. Anderson is one of the most caring vets we’ve known. Even our 18-year old cat, Oliver, immediately took to her–he articulated his affection very loudly and showed his appreciation by sharing something of a personal nature. Despite all of that, Natasha called him a “good boy.” We love Dr. Anderson!"